Remote HD is the most feature-packed remote for your Mac/PC/AppleTV! 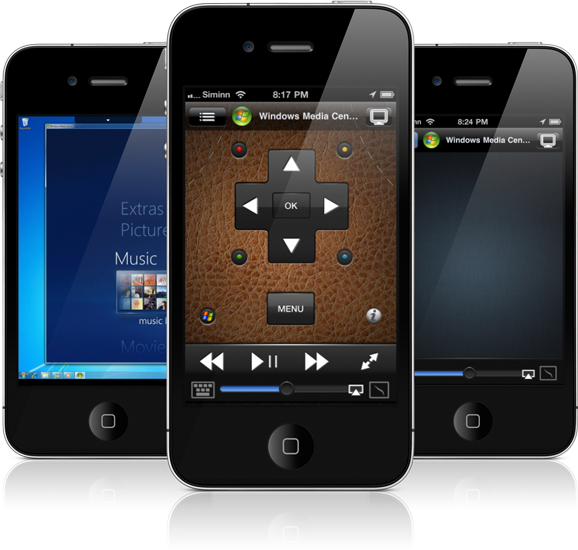 This super fast VNC/Remote hybrid will instantly become an integral part of your state-of-the-art home theatre by allowing you to take complete control of your Mac/PC/Apple TV from your iPhone/iPad/iPodTouch. Provides a wireless remote, wireless keyboard, mouse, trackpad for your PC. Automatically changes remote's layouts based on active application (specifically designed for HTPC). Supports audio Streaming from your PC. Supports speedy VNC-like access to your remote computer. Allows you to conveniently launch, switch and even quit applications running on your PC. Offers desktop search integration (search and launch items on your PC). Gives you access to your PC over the internet (WiFi, 3G, EDGE, GPRS). Remote HD also doubles as a remote for Mac, and this is just the beginning!